You've probably seen this claim many times: a pound of fat contains 3,500 kilocalories (kcal). A slice of toast is 80 kcal. All you have to do is forego one slice of toast per day-- just a few percent of your total calorie intake-- and you will lose 8.3 lbs of fat per year. Fat loss is so easy! ...the difference between 1,900 and 2,000 calories is one we cannot detect, nor can we detect the difference between 2,000 and 2,100 calories. But over the course of a year, this mindless margin would either cause us to lose ten pounds or to gain ten pounds. It takes 3,500 extra calories to equal one pound. It doesn't matter if we eat these extra 3,500 calories in one week or gradually over the entire year. They'll add up to one pound. This is the danger of creeping calories. Just 10 extra calories a day-- one stick of Doublemint gum or three small Jelly Belly jelly beans-- will make you a pound more portly one year from today. Only three Jelly Bellys a day. According to this reasoning, if I reduced my calorie intake by 80 kcal per day, I'd become skeletal in two years and vanish in a puff of smoke within 10 years*. All from a meager 3 percent reduction in calorie intake! Here's the first fly in the ointment: energy usage by the body is proportional to body size (particularly lean mass). When a person undereats and his body gets smaller, it burns less fuel. As fuel usage declines over time with weight loss, the gap between calorie intake and expenditure gradually closes, and eventually calorie expenditure matches intake and weight loss stops. The second fly in the ointment is that the brain senses fat loss and tries to further curtail calorie expenditure, closing the calorie gap even sooner than would be expected by the reduction of lean mass. National Institutes of Health researcher Kevin Hall and his team have created a mathematical model that accurately predicts weight and fat changes in response to changes in calorie intake (1). This model has been validated against the results of weight loss trials (2). Based on this model, his team put together the Body Weight Simulator app that allows us to calculate and graph weight changes over time. Let's play with it. We'll start with a typical 45-year-old obese woman named Sandy-- 5'5" tall, weighing 194 lbs. Her job is fairly sedentary but she walks to and from work every day (1.80 PAL). Her daily calorie intake is 2,751 kcal (estimated by the simulator). Now, we put her on Wansink Diet #1, which is 100 kcal less than previously, for a new total of 2,651 kcal/day. According to the calculator, Sandy will lose 5.5 lbs over one year if she maintains this 100 kcal deficit-- far short of the 10 lbs that was promised. Her body fat will drop from 43.1 to 42.2 percent-- less than one percent fat loss. The effect of this diet becomes even less impressive over time as calorie expenditure approaches intake. Over the next year, Sandy only loses an additional 2.2 pounds. Over the third year, Sandy only loses one additional pound. After 6 years, Sandy eventually plateaus at 185 lbs, just 9 lbs below where she started. Her body fat percentage has declined from 43.1 to 41.5. She is still obese. As you might imagine, Wansink Diet #2-- avoiding one stick (10 kcal) of gum per day-- is even less effective. Over the course of 6 years, Sandy loses one pound. This is one of the key explanations for the weight loss plateau, the scenario where it feels like you're using the same weight loss strategy that was effective before, but weight loss has stalled. The following graph is adapted from a study that measured the calorie requirements of lean and obese people (3). Most (86%) of the subjects were women, but the findings have been replicated in men as well. On the horizontal axis, we have body mass index (BMI), and on the vertical axis we have the calorie requirement for weight maintenance (i.e., energy expenditure). As a reminder, a BMI of less than 25 is lean, 25-30 is overweight, and greater than 30 is obese. As you can see, calorie requirements increase with BMI. A typical moderately obese woman (BMI 32.3) requires 453 more kcals per day than a lean woman (BMI 22.6) of similar height. Another way of putting this is that the former burns and eats about 453 more calories per day to maintain weight and body composition. This might sound like a lot, but it only amounts to a ~20 percent difference in intake**. Lucky for us, our friend Sandy's BMI is 32.3, the same as one of the data points on the graph above. Let's see what happens when we reduce her calorie intake by 453 kcal per day, approximating the calorie intake of a lean woman. Over the course of 6 years, Sandy loses 41 lbs and plateaus at a weight of 153 lbs, BMI 25.5-- almost in the lean BMI range. Her body fat declines from 43 to 35 percent, better but still too high. But we've left out a key factor here. In the study referenced above, lean people didn't just eat less. They also moved about 20 percent more (1.6 vs. 1.3 METs). If we increase Sandy's (previously modest) physical activity level by just 20 percent, and assume the same calorie intake as above, she plateaus at a weight of 138 lbs and a BMI of 23.0-- similar to the lean group in the graph above. Her body fat percentage is 32 percent, compared to 29 percent for the lean reference group (admittedly, the lean reference group is not particularly lean by % fat). In other words, if she eats like a lean person, and moves like a lean person, she achieves the body composition of a lean person eventually, but it takes time. * I'd exhaust my ~17 lbs of fat in just over two years, and the remaining lean mass has a much lower calorie density than fat tissue, so I'd wither away rapidly after that. ** This isn't much when we consider that the moderately obese women carry twice as much fat mass as the lean women. Keven's model is a step in the right direction. But everyone is still ignoring that issue that Atwater through out half of is data, aka as the scatter in Atwater factors. Sandy sounds like kind of a dim bulb if she spent 6 years following a diet that resulted in only a 1-pound weight loss. I think I would have caught on by the fourth or fifth year. But seriously, what is Wansink diet 1 or 2? "In other words, if she eats like a lean person, and moves like a lean person, she becomes a lean person eventually, but it takes time." That is simply a lie. She does not become a lean person. You certainly know that. She becomes a starve obese person. She becomes hungry and cold all the time, she becomes obsessed with food, she might become infertile and lose bone mass, she is at much higher risk of depression, etc. Let's repeat it again (I shouldn't have to, you should definitely know better): a ex-obese person is not the same as a lean person. "Improved food quality....to reduce the damage done during instances of overeating"
I need a reason to get more than 3-5 hours, too much of that on and off lately. Hold your horses before flinging accusations around. What I meant is that she is morphologically lean, or at least as lean as a typical middle-aged person in the lean BMI range. It is true that physiologically she will not be the same as a person who has always been lean. You read my post so you know I addressed this in several places. Still, I'll edit the post to make sure others understand my meaning clearly. 1. The fewer calories you ingest during a period of overeating, the less damage it will do. 2. Short sleep is one of the strongest predictors of weight gain over time, and it also undermines fat loss in controlled trials. IMO there's strong enough evidence at this point to think sleep is a factor in body weight. That said, I can't give you specific advice because I don't know how much sleep you need. Most people do well with 8-9 hrs until older age. But probably the best is to sleep until you feel well rested. I've got an unrelated question: How can I subscribe to the blog to get the feed on feedly? When I added your blog by entering the address in feedly, I get update every time someone posts a comment to any post. Is it possible to subscribe with feedly to posts only? Sorry for posting this technical issue here, but I gather someone might have had similar problem. Thank you for the interesting post, Dr. G.
Speaking of entering "starvation mode" following dieting as Valerie refers to, I was just reading a little about Ancel Key's Michigan Starvation Study (in Denise Minger's new book) and it looks like a 1500-1600 calorie/day diet + exercise drove normal weight young adult men to become pathological about food (eg., obsessively thinking of food, hoarding cookbooks) which persisted after weight regain. This seems scary given how many millions of people attempt severe calorie deficits from reduced intake and increased expenditure annually globally. Is it known at what % of calorie deficiency this "starvation mode" is initiated (not sure of the accepted term for this condition -if there even is one)? Anecdotally, this yo-yo dieting / food obsession mental state seemed to occur with me and many members of my family (I've only just gotten over it after losing 25 pounds and maintaining weight loss for a few years while eating three "square" meals a day). Shooting for a 100 kcal deficit is inefficient and isn't something worth doing in the real world (let's say you buy a bigger chicken breast one day and eat an extra egg and there goes you kcal deficit). The typical 500 deficit would create enough slack to prove successful; you'd also see results sooner and thus might be motivated to continue with your new-found dietary habits. What's more weight loss stalls because people sooner or later arrive at their new caloric maintenance level. Just as you said, lighter people need less calories. So if you are fat and need 2500 kcals and lose enough weight you will eventually arrive at a 2000 kcal daily requirement. What you're saying about dieting into oblivion is reductio ad absurdum. I know it's a thought experiment and you want to prove a point, but Gretchen is right. You'd have to be dumb to stick with this strategy. A pound per week is something reasonable and available to the average modern fatty. Does the physical activity level take into account the relative difficulty of the activity? AKA, it takes a lot more energy moving around an obese body than a lean one. I've seen these numbers be eerily similar when normalized for body weight. Also, practical experience tells us that this simulator will probably not be predictive for smaller calorie ranges. Bodybuilders often lose weight (fat) by very slowly adding calories to their diet, especially when preparing for shows. There are also "refeeds", where they will periodically increase calories by a larger margin for a day, to prevent the metabolic slowdown of prolonged dieting. By contrast, there is certainly going to be a large degree of variation in how our bodies respond to slight caloric deficits. By all means, the people who seem to store the excess easily (without a commensurate increase in expenditure) and resist the deficit (with a lowered energy expenditure) are the people most likely to want to use a weight loss simulator. Try the tool in the blog sidebar. Preoccupation with food is a normal response to being below your setpoint. The brain is trying to regain the lost fat. I wasn't aware that the effect persisted after regain in Keys' study though; how long did it last? Yes, I took that into account. The issue of physical activity energy expenditure is a complicated one. Obese people, on average, move less than lean people (of course there are exceptions). However, since their bodies are bigger, they use more energy to perform the same action. So in the end, total physical activity energy expenditure ends up being similar or even higher in obese people than in lean people. Yet we run into the same problem with weight loss that I discussed in the post. The more weight a person loses, the less energy they use per movement. So a sedentary obese person may use as much energy for physical activity as a moderately active lean person, but if that obese person loses the weight and maintains the sedentary behavior, physical activity energy expenditure will end up being low until he starts moving more. This brings up a key point about energy balance and obesity. The cause of obesity is rarely low calorie expenditure. Obese people typically expend more total calories than lean people. The cause is increased calorie intake. The Minnesota Starvation Experiment is fascinating, but you have to be careful about drawing conclusions. 1) It involved people at their "ideal” weight (that is healthy, normal human beings), who were then dieted down to 75% of their "ideal" weight. That's insane. It would mean, that a person weighing 160 lbs would go down to 120 lbs. We're talking about "The Machinist" Christian Bale! 2) They were underfed for 6 months. That's very long at this deficit and in their unnatural conditions (no privacy, being measured all the time etc.). What's more, that diet was not intended as a "reasonable" weight loss diet as far as nutrients and macros are concerned: they were fed (quote from Wikipedia): "foods that were expected to typify the diets of people in Europe during the latter stages of the war: potatoes, rutabagas, turnips, bread and macaroni." 3) They were controlled, most people aren't and tend to under-report their caloric intake (and I mean a lot; I don't have the time to pull the numbers but it's between 40-50%) and overestimate their caloric demands and how much they burn. A bit off topic, but is there anything obesity researchers could learn from anorexia nervosa? What is actually happening in the brain of anorectics (reward system etc.) as they can keep on reducing energy intake and losing weight with extreme outcomes. You've already addressed the calorie/quantity aspect in this post and in responding to commenters. I'd like to ask you for your definition of food quality. Or maybe there is a definition you agree with that I can be directed to? PS: I know definitions aren't always able to cover exceptions & nuances to everyones satisfaction in addition to being prone to having holes poked in them...but I think it's something that deserves clarification and further exploration. Regarding the preoccupation with food after Keys' experiment, I believe it stopped for some after they regained all their fat mass. For others it last a 1+ years despite being being at their normal weight again or heavier (one participant if I recall kept cookies in his pocket to eat later in the day). However for all the starvation responses eventually went away, it just took a lot longer for a few. I think I understand what you mean, but -- sticking to your numbers -- I wouldn't consider a -500 kcal deficit dramatic, esp. if the initial neutral calorie count is more than 2500. Removing 500 kcal for most people on the SAD diet would amount to ditching the daily can of coke and mars bar. What's more, intake of 1600-1900 kcal per day for a 180 lbs person is sufficient and will not make him go crazy if he's eating right (protein, fiber, fat + reasonable carbs). like the time that Taubes cited a study showing glucose was associated to more fattening than fructose and proceeded apparently to hope the reader didn't notice, I find zero evidence of real data introducing nuance into the biased one's proffered "analysis"
Is there any way to gauge the degree of compensatory eating that occurs from cutting out calories from one meal? In my experience minimal eating in the evening leads to a bigger breakfast, and a bigger breakfast implies a smaller lunch. I'd be skeptical that Sandy didn't increase intake in any of her remaining meals without calorie counting. This model also seems to suggest that a semi yo-yo diet plan could be successful. Reduce by 500 kCal for 6 months, long enough to see some real results but short enough so it's sustainable psychologically. Then at the end of 6-months she switches to a maintenance mode that gives back 3-400 kCal, just enough to maintain her new equilibrium. After six months or a year or so she can repeat. Do people have success with this step model?
" If we increase Sandy's (previously modest) physical activity level by just 20 percent, and assume the same calorie intake as above, she plateaus at a weight of 138 lbs and a BMI of 23.0-- similar to the lean group in the graph above"
This is not a reasonable assumption - higher activity levels lead to greater caloric intake. Likewise lower activity levels lead to less eating. Its not really shocking - if you go run on the treadmill alot you get thirsty. If you don't you don't need to drink as much liquids. The same relationship holds true with foods. What obesity researchers need to figure out is not how to lose weight but why some people misallocate calories and their appetite is greater then their needs. Thanks for the study info, sinodrom. I agree Key's study is very unique relative to the dieting experience of most modern Americans and so possibly not relevant. However I do worry that if the mental effects of crash dieting experienced by some Key's subjects after weight regain also occur in modern, obese American adults, than that is a hugely under-appreciated problem for many people. Not to mention the possibility that crash dieting might actually raise one's setpoint above the initial obese setpoint present before the diet. I don't have any data on this, just speculation, however. It seems the effects of starvation lasted from 2 months to 2 years with many people putting on excess body fat beyond initial levels, at least according to this 60 year post study recall (not sure how accurate this is...). I wonder if starvation elevated subject's set points above initial levels which explains the persistence of food obsession after weight regain? This would explain "yo-yo dieting" (weight creep, food obsessions) seen in many obese adults. Unfortunately I cannot find Key's book for more accurate numbers. Thanks. Here's the link to the 2005 article detailing the study. It is true that oftentimes when people try to reduce calories and exercise more they can't sustain it. But that's where Stephan's emphasis on a healthy lifestyle comes in. Reducing hypothalamic inflammation, getting all of the nutrients needed for proper metabolism, and getting fit and healthy will help people sustain their weight loss. The key is to look at interventions that cause spontaneous reductions in caloric intake without perceived stress, fatigue or hunger. "This model also seems to suggest that a semi yo-yo diet plan could be successful. Reduce by 500 kCal for 6 months, long enough to see some real results but short enough so it's sustainable psychologically. Then at the end of 6-months she switches to a maintenance mode that gives back 3-400 kCal, just enough to maintain her new equilibrium. After six months or a year or so she can repeat." I think this is a very good strategy for long term weight loss (as well as weight gain, if you're intending to put on muscle etc.) goals. I think this would teach people how much they need to eat to put on weight/lose weight/maintain weight. This is what I did, and am doing. I had restricted caloric intake for 4 months and have been eating at my new maintenance intake for the last month. When I decide to continue losing fat, I'll eat below maintenance for another few months. This strategy also let's your body readjust (this would work very well for caloric/fat set point resets etc.) and gives you a psychological break from "increased self-control" minding what you eat might involve. I think you are right to assume that a similar mechanism is at play as far as regular yo-ying/crash diets are concerned. Though I do think this is just a sub-problem of a bigger problem: people don't know how much to eat to maintain their weight. They kinda know what to do to put on weight (the diet probably taught them that they ate too much, that they drank their calories etc.). If their crash diet proved successful they more or less know what to do to lose weight. But they haven't got a clue what to do, to maintain their weight. That might be the main reason for their weight regain, I guess. They think they lost weight and it's not coming back. So the strategy described above might be the key for general weight control for a lot of people: they lose weight, than they have a month or more to figure out how much they need to eat to stay at the same weight, and then are free to do what they want: lose more ("I'll eat a bit less from what I've been eating for the last month), or stay with what they have. No need to post this to the comments since it is off topic. I just wanted to say thank you for sharing your knowledge with the lay public. I have been following your blog for a few years and am absolutley fascinated. Your writing on food reward and the regulation of appetite is some of the most entertaining reading I have done in a while. I have implemented a low reward nutrient dense diet after about four years following the Paleo approach without seeing the reduction in body fat I would like. I am finally starting to shed the last few percent body fat. Since there is constantly new science being performed, has anything in regards to food reward or appetite control contradicted or reinforced your position? I like making a jejune attempt at discussing some of these topics with family, and I was just curious if your thoughts still hold true? They do in my experience. I look forward to future posts or interviews. Also, here is something you are probably already aware of that ties into your neuroregulation of appetite posts. > The cause of obesity is rarely low calorie expenditure. I vaccilate on this one quite a bit because deliberate exercise appears to be the best way to develop executive function. Whenever I have (anecdote ALERT!!) put on significant weight my hindsight perception is that I was not exercising much. this would badly violate any benefits of habit establishment, dumping 6 months of hard work for small, temporary payoff. Oops sorry Stephan, misspelled your name in my last comment!
" In other words, if she eats like a lean person, and moves like a lean person, she achieves the body composition of a lean person eventually, but it takes time." That's what I did. And that's what happened. I think what the commenter meant by "semi yo-yo" diet is not really coming back to previous "bad" habits but rather easing up on the caloric restriction and eating at a new maintenance level. That's how I understood. @Robert, if you haven't already watched it, this video was very interesting. A personal account of the experiment is read feelingly by one of the volunteers. IIRC, some of the participants gained about 25% more weight (above their previous normal weight). This particular participant returned to his normal weight after three years and maintained it after that. In the literature I've read on recovering from restrictive eating disorders it's advised to never restrict calories during recovery. The MSE is often quoted in this literature. There's also a lot of genetic variability in weight loss, as we've seen from twin studies. Great point about the increase in metabolic rate as one continues to gain weight - I hate hearing my RD colleagues misquote the 100 calories extra per day = 10lbs/yr statement. "In other words, if she eats like a lean person, and moves like a lean person, she achieves the body composition of a lean person eventually, but it takes time." We know that ex-obese people have much lower caloric expenditure that always-lean people, both at rest and during exercise. I doubt your model take that into account (the difference in final BMI in your calculations seems way too small for that). So your Sandy will be starved and still probably overweight. Alternatively, to achieve the same body composition as an always-lean person, she will have to eat even less and exercise even more (and be very starved [for the rest of her life]). I think the most fatally flawed argument of all coming from the simple calorie arithmetic promoters is that the amount of calories you eat in a day is simply a matter of personal choice, similar to how much laundry detergent you choose put in your washing machine. I think you should write a post about what it would take to motivate a large population to make sustainable dietary changes. Does it mean banning or taxing certain foods? Is it just a matter of updating dietary guidelines to reflect the latest scientific research? More marketing of diet and fitness plans that are based on sound science such as the one you're involved with? From reading some of the obesity threads on reddit.com, it seems quite a few members of the general population still think that fat shaming is the way to go. yes, re-reading I stated it with too much of an absolute wording; that procedure risks losing some of the benefits; risk, not guarantee - one may not lose any of the benefits. Sanjeev, I called it "semi yo-yo" because I wanted to acknowledge the similarity to yo-yo dieting but the actual idea is more of a step function. I actually think it does a good job of working with Rachlin's research. The problem with the new years resolutions describes is they require a lifestyle change (6 months of going to the gym won't make a difference in a year), which is one of the reasons they put it off. To consider Sandy, the payoff of giving up that slice of toast might be too mild to motivate her, and the hunger from restricting calories enough to cause significant loss might not feel sustainable. But by restricting the heavy reduction phase to six months it feels a lot more sustainable, and by making the post-diet period an explicit part of the diet she gets rewarded to almost return to her previous eating habits. Your strategy makes sense. It's easier to adhere to a 4-month intensive program than to a 4-year moderate program. A major reason is motivation. It's easier to adhere when the timeline is short and the scale is moving downward rapidly. Contrary to what you often hear, intensive/rapid weight loss interventions tend to produce greater weight loss and better long-term maintenance. That's why we offer an intensive option in the Ideal Weight Program. Our FLASH diet is loosely based around the protein-sparing modified fast. 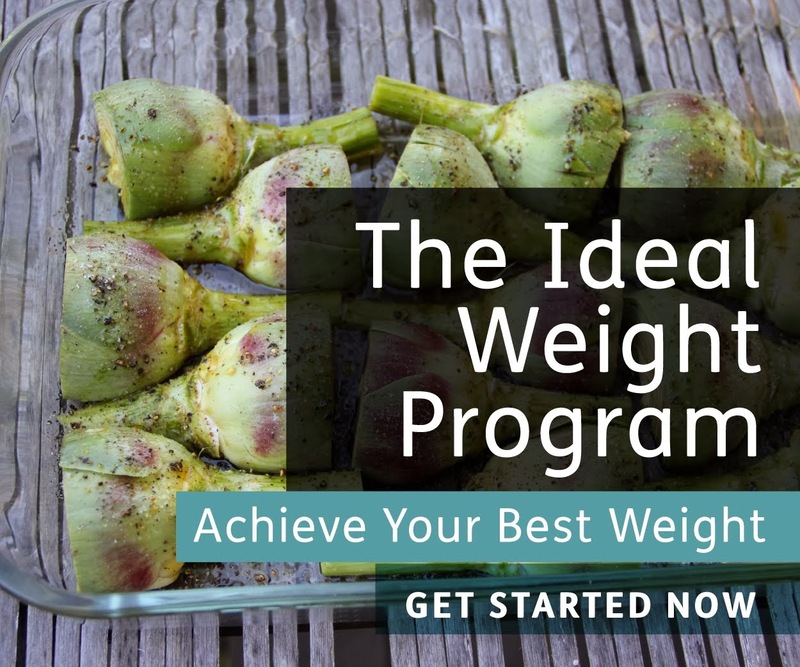 The idea is that after you reach your goal, you transfer to one of the more flexible diets and develop a sustainable diet/lifestyle pattern that allows you to maintain indefinitely. Not everyone is cut out for the FLASH diet though, so we give the option of starting with the more moderate version. I like the example of vanishing in 10 years by only cutting calories a small amount! I struggle to explain how calories are not the end all be all with people, and this is a great primer. Really though, I can't wait for more evidence and well controlled studies that can tease this out further. Gary Taubes (and some others) blames insulin and thus (primarily) carbohydrate, which very well could be a piece of this complex puzzle. I agree, and at the same time this could be the leading reason for very short term adherence. IMHO, motivation is for the short term, habits are for the long term. Add in a typical short term goal like looking good in 2 weeks at the beach and the balance shifts even further to yo-yo-ing. In the ideal case one would find ways to inculcate both and do it in ways that support both. I believe we can all agree that losing is easy and maintenance is the hardest piece of this puzzle. this is what leads me these days to put habit formation first. I think what's clear is that the American approach of counting calories or macronutrients - using math and being scientistic about it - has failed pretty decisively. It's interesting and revealing that the countries that seem quite successful at remaining thin, most of Asia but especially Japan, and many countries in Europe, eschew the scientistic approach, don't count calories or use math, don't count macronutrients, eat for pleasure, and rely more on tradition, intuition, and flexibility. At what point do we accept that the distinctively American approach to weight loss, which is, as in all matters, scientistic, is less effective than the "messy", intuitionist, feeling and hunger based approach of more traditional societies? And that the anti-hedonic bias in American weight loss advice stands in stark contrast to the positive attitude towards the hedonic qualities of food in countries like Japan? At what point do we accept that certain fields aren't helped by an attempt at precise measurement and a scientistic approach? At what point do we accept that weight loss is more like the social sciences, where what we don't know is huge and our attempts to reduce it to a matter of precise measurement doesn't yields results? That the anti-hedonic approach to food in pretty much EVERY American diet just ends up making people hungrier? Weight loss doesn't have to be very difficult if one forgets about the supposed science of it and focuses on time-tested heuristics that have worked for less science-based and more traditional societies, like Japan. For instance in Japan there is a very good heuristic which says you should eat till 80% full, no more. It's "messy", imprecise, unscientific, and relies on subjectively monitoring your feelings of hunger. What's more, it allows for a considerable amount of flexibility in food intake because the sole metric is not food quantity but hunger. You can eat as much as you need to get to that 80% full feeling. Yet it seems to work infinitely better than the American approach, which is inflexible because our mathematical calculations are supposed to know so much better than our feelings how much we "should" eat. We can't accept that we don't understand it intellectually. The point is, the hubristic American approach is based on what Nassim Taleb calls "naive rationalism" - the naive, sucker-like belief that we have access to all the reasons behind a particular phenomenon and that we know, and control, far more than we do. This is a peculiarly American intellectual vice. Instead, why not accept we don't understand the mechanics of weight gain and loss at a very detailed level at all beyond the fact that you need to eat less to lose weight, and rely on time-tested heuristics without really knowing whats going on? But I guess we'd rather be "scientific" than thin and healthy. The illusion of understanding and control is more important to us. And as an example that losing weight can indeed be effortless, and that only science, not the real world, thinks that the brain "resists" fat loss, whatever that means, are all the testimonials on youtube and elsewhere abut people who travel to Japan and lose weight effortlessly without thinking about it, simply by following local patterns in terms of portion size, number of meals, and attention to the hedonic qualities of food. I guess their brains weren't told they were supposed to "resist" weight loss. Sorry to spam your blog, but I have one more comment I believe is relevant. In fact, the most intelligent approach to weight loss in America, since we have utterly failed to figure it out ourselves, is to look at countries that are good at it and without necessarily understanding why they are successful try and recreate their food culture and environment here. Send teams of researchers to the thin countries and import their heuristics and rules of thumb and customs and attitudes towards food. But this would involve humility in the face of our ignorance and respect for tradition and custom that has survived the test of time and proven itself over millenia. It's not like the government and other agencies don't try and impose attitudes and customs about food on Americans - of course they do. All the time. We just have been doing it up till now without regard to what time has shown to be successful. Ok, so please tell me how to loose weight when you only have a few lbs to go and already eat a wholefood diet, excercise daily and eat mindfully. I am at a loss! I am 5ft, 125lbs. I excercise daily, I eat a wholefood diet and I am very aware of what I am eating. I really can't reduce my calories any more than I have or excercise more. How do I trick my brain? Yo-yo dieting is considered bad, but I am wondering if this is actually what we evolved to do. Recent research has suggested that intermittent fasting is beneficial, and what is cutting calories drastically followed by upping calories but a mini-case of yo-yo dieting? In fact, I am beginning to see arguments that a steady, invariant rate of calorie consumption isn't consistent with our ancestral environment, where we would have gone days with little food, mostly plants, nuts, and fruits, and then after a big kill we'd go days gorging ourselves on fatty foods. Isn't that yo-yo dieting? And we know that ancestral humans would risk pain from bee stings to get at honey, which we can only presume they then proceeded to consume in vast, gluttonous quantities. So maybe our occasional cravings to just eat JUST chocolate chip cookies one day is also perfectly normal and built into us and shouldn't be a source of guilt. The problem of "maintenance" may have no answer because maintenance through invariant calorie intake may be unnatural. We may be designed to to do a version of yo-yo dieting - periods of deprivation followed by periods of plenty. I wonder if any research has addressed the issue of whether modern hunter gatherers have steady rates of body fat? I wouldn't be surprised if they go through lean periods and relatively fatter periods. They probably never get seriously overweight but I would be surprised if they didn't actually become slightly overweight after a particularly successful hunting season. Anyone who has cut food intake dramatically knows that for a while this an be done without any pain at all, and is not that hard. But only for a while. At a certain point the urge to eat more becomes uncontrollable if food is readily available. This is when we "crash" and is yo-yo dieting, which supposedly = bad. But what if "crashing" is perfectly natural part of a cycle? And mathematically, "maintenance" would have to be calculated to a level of precision that is impossible, as even 50 calories more of energy expenditure per day - say you took a few extra bathroom breaks - would throw maintenance completely out of whack. The only plausible method for long-term maintenance would be fluctuations in weight and calorie intake, with low calorie periods followed by higher calorie periods. The more I think about it, even as I write this, the more I think this is correct. "And as an example that losing weight can indeed be effortless, and that only science, not the real world, thinks that the brain "resists" fat loss, whatever that means, are all the testimonials on youtube and elsewhere abut people who travel to Japan and lose weight effortlessly without thinking about it, simply by following local patterns in terms of portion size, number of meals, and attention to the hedonic qualities of food. I guess their brains weren't told they were supposed to "resist" weight loss." Clearly what you see in America is strong evidence that the brain does resist weight loss. Now there are two types of resistance. There is the homeostatic resistance involving leptin and the hypothalamus which I would agree is probably exaggerated by some and the reason why it can seem effortless to lose weight in certain contexts. 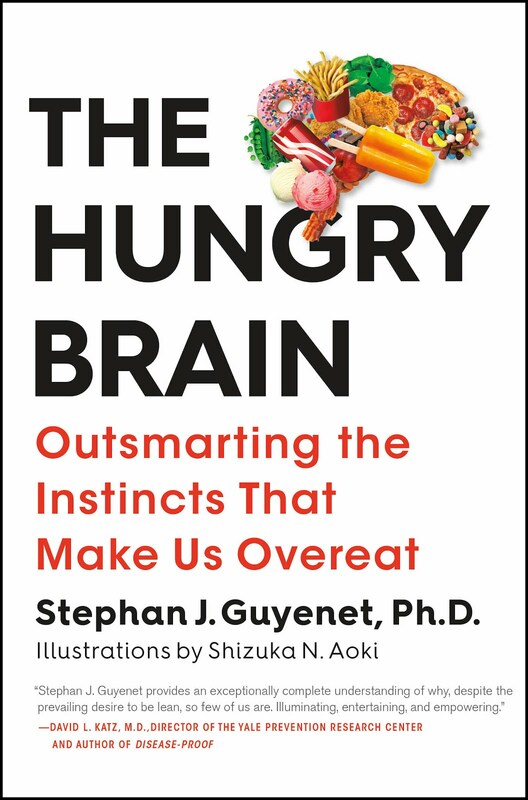 There is also the brain's reward system overriding our conscious desire to control eating, which is another form of resistance. I think this is what makes Americans so fat. We have powerful industry lobbyists trying to keep highly palatable junk food on the market, because they know we can't stop eating it. Highly palatable and calorie dense junk food has become such an important part of our social lives as well. The temptation to over-eat in this environment is much greater than our willpower to overcome it. @Kim, when people say the brain "resists" weight loss, I think they mean it's a purely physical chemichal/hormonal response that doesn't depend on the kinds of purely psychological mechanisms you are describing. If you are suggesting that psychological factors are whats preventing Americans from getting and staying thin, I would tend to agree with you up to a point. Yes, there are powerful forces in our society that encourage people to be fat, but most people want to be thin and make efforts to become so before giving up in despair, and ironically, are fat precisely because they follow widespread and common notions about how to diet - like the absurd idea that 1600 cals is an appropriate amount to eat to be thin (remember, the Japanese eat on average 2,800), or the idea that healthy and natural variable eating behaviors that have been stigmatized as "yo-yo dieting" and labelled "bad" and you should have an invariant stable weight and food intake. The reality is that thin countries have days of feasting and days of (often religious) fasting, and that its perfectly normal to vary within a 5-10 lbs range, and to eat much more and then much less at different times. The concept of "maintenance" has to be redefined as a cyclical fluctuation between fairly broad parameters and not as an impossible to achieve invariant "stable" weight, seduced as we are by precision. I was unable to successfully maintain a thin weight in America until I completely disregarded all standard American dietary advice and lived in a thin country. There I learned I can eat much more than any American diet permits and still lost weight, and that natural fluctuations in hunger levels and weight are cyclical and normal. I'm about your size, and I recently came across some nutrition calculator that said if I want to lose 2 pounds a week, I should eat something like 125 calories a day. That's obviously not feasible. But unfortunately, when you're small, you really don't need many calories. Even Mike Eades admits in a footnote to his book "Protein Power" that if you're small, you'll have to limit fat as well as carb intake. I think the reason is that when you don't need much food, by the time the satiating effect of fat has kicked in, you've already eaten too much. If you're huge and need 3000 calories a day, you might feel sated before you'd finished your large meals. This is just intuition, not proven fact.